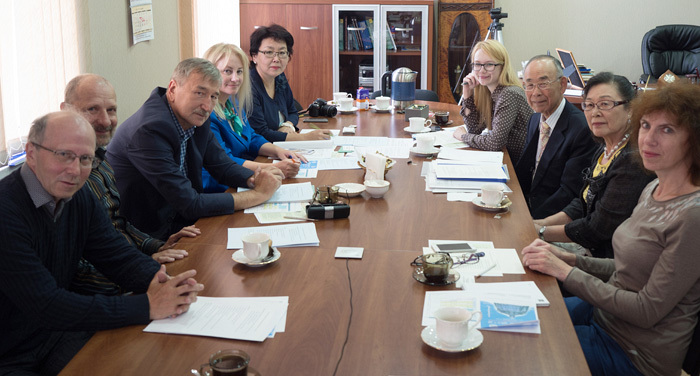 Meeting of the Baikal Psychosomatic Association and the Asian College of Psychosomatic Medicine. • The BPA annual conference "Psychosomatic Medicine and Cardiovascular Diseases" took place in october 5–6 in Irkutsk. Speaker communicated and brought the latest advancements in psychosomatics to physicians. • Preparing for the Asian College of Psychosomatic Medicine 20th Congress in 2022 is discussed in the working meeting with vice president of the ACPM Hiroshi Ishizu. 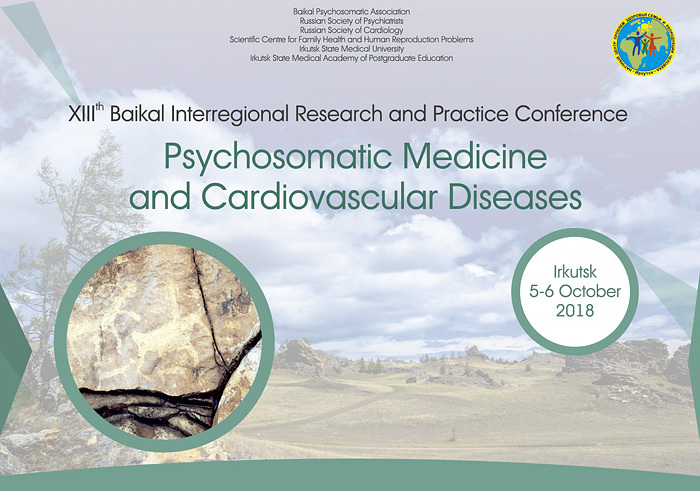 • The Baikal Psychosomatic Association (BPA) is organized in october 11, 2017. • The Asian College of Psychosomatic Medicine includes BPA in 2017. • To promote the treatment and care of patients with comorbid psychiatric and physical diseases. • To support advanced professional education in the area of psychosomatic medicine. • To develop guidelines for practitioners who care for patients with psychiatric disorders in a general medical settings. • To organize meetings, conferences, workshops and publications in the area of psychosomatic medicine. • To stimulate and support research in psychosomatic medicine. • To advance cooperation with psychosomatic and other medical professional organizations. • Psychosomatic Medicine and Cardiovascular Diseases (5–6.10.2018). • 19th congress of the Asian College of Psychosomatic Medicine, Irkutsk, Russia (27–28.08.2020). • Mental disorders in patients with coronary artery disease. Vasiliy Sobennikov, Irkutsk State Medical University. Lubov Richkova, Scientific Сentre for Family Health and Human Reproduction Problems. Olga Petrunko, Russian Medical Academy of Continuing Professional Educations. Farid Belialov, Russian Medical Academy of Continuing Professional Educations. Anna Pogodina, Scientific Сentre for Family Health and Human Reproduction Problems. Eugene Vinokurov, Irkutsk State Medical University. 30.12.2018. © Belialov F., 2004–2019.